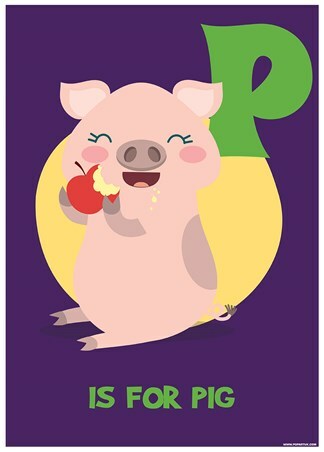 Well look at this little porker! 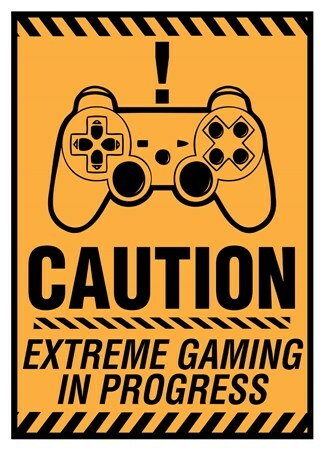 We at PopArtUK understand the struggle for every parent, of finding a way to engage your child to learn - we believe we have found the way! 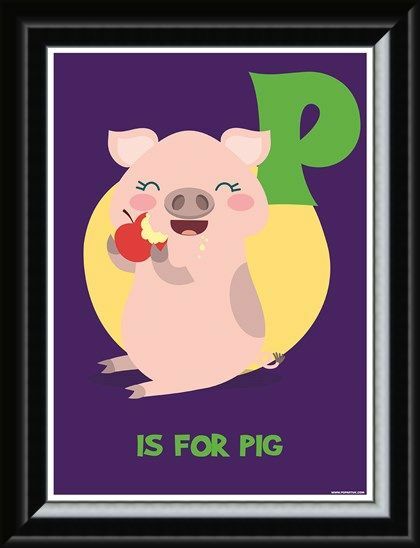 Our fun collection of alphabet mini posters make learning their ABC's that little bit more colourful and makes a great piece of artwork for any child's room. 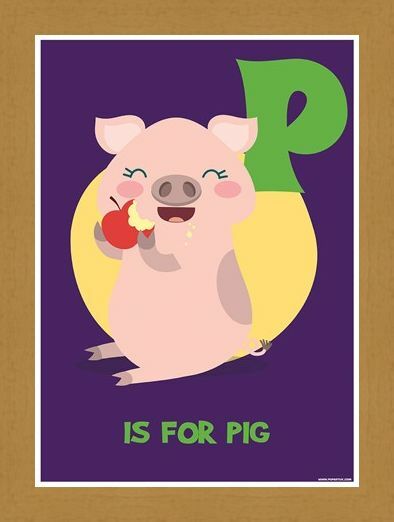 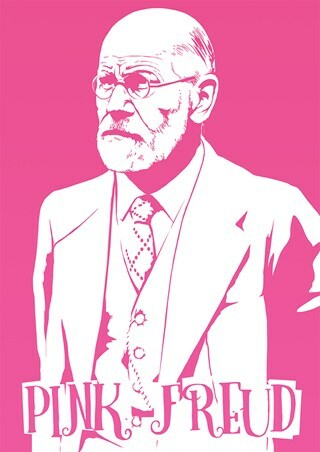 This particular poster, features the letter 'P,' with a pale pink pig, happily munching away on a bright red apple. 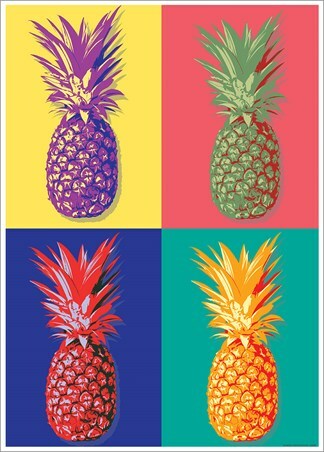 Whether alone, of paired with the collection, this fun product is sure to add some colour to any child's room. 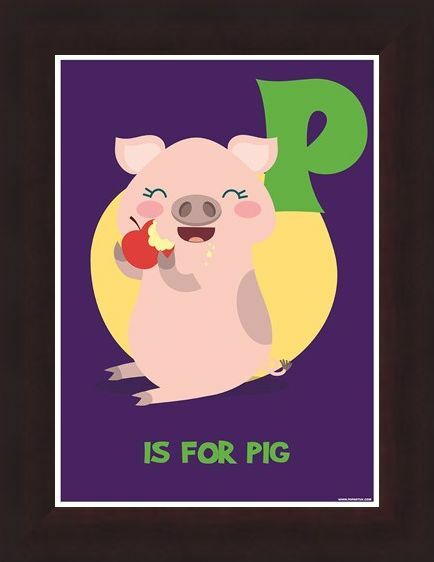 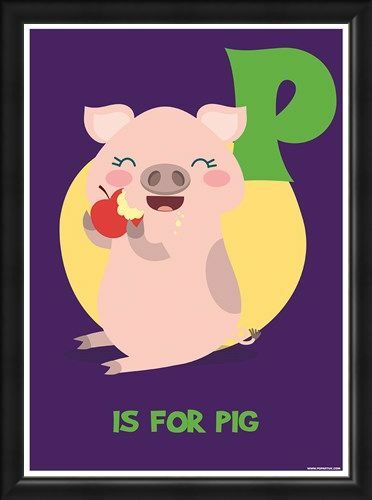 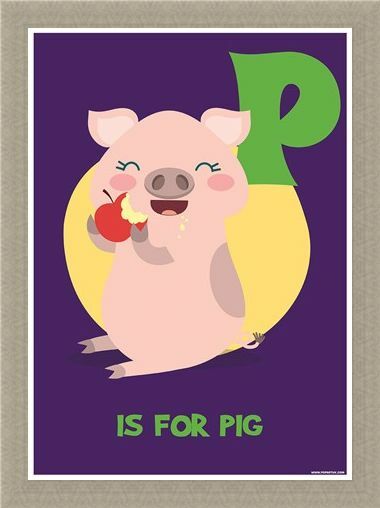 High quality, framed P Is For Pig, Fun Learning mini poster with a bespoke frame by our custom framing service.